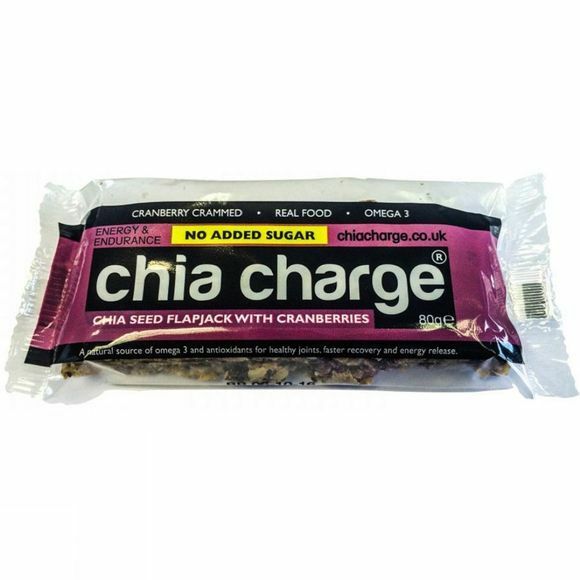 When pushing yourself to the limit, you can rely on the Chia Charge Flapjack Berry to help you go beyond your targets. Made with natural ingredients for a great taste, easy digestion and long-term benefits for your body. Eat 30-90 minutes before exercise for optimum effects. Dates, Oats, Butter, Cranberries, Chia Seeds (8%), Sea Salt Flakes, Rice Flour. Nutritional information shown here & on wrapper may differ. Information on wrapper reflects actual contents.